A gun collectors and avid car lover has been buried in his most treasured possession. 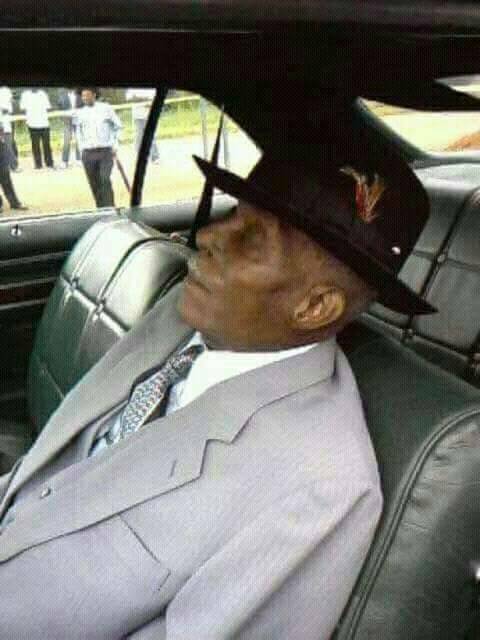 Lonnie Holloway who became a widower two years after losing his wife died at a good old age of 90. His funeral which took place few days ago at a private underground tunnel in Saluda, South Carolina was graced by his family and friends. 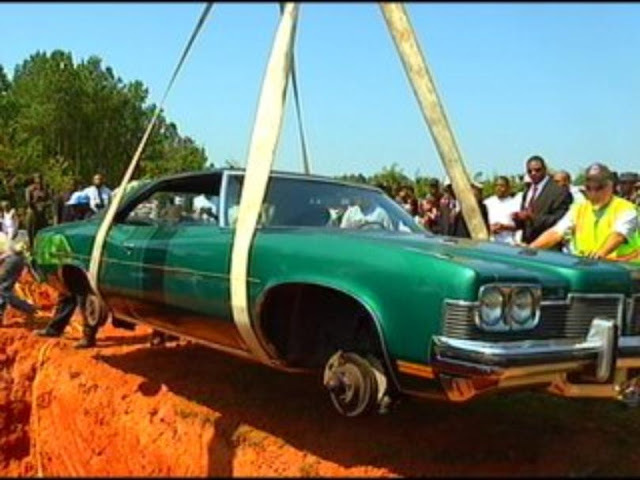 Lonnie Holloway who was placed in a sitting position in his 1973 Pontiac Catalina hatchback was lowered into his grave as mourners paid their final respect. Holloway who is described as a car addict was said to have requested to be buried in his Pontiac Cataline, a request his family members honoured. In the passenger seat of the hatchack was Holloway’s second most treasured possessions, his guns collection. 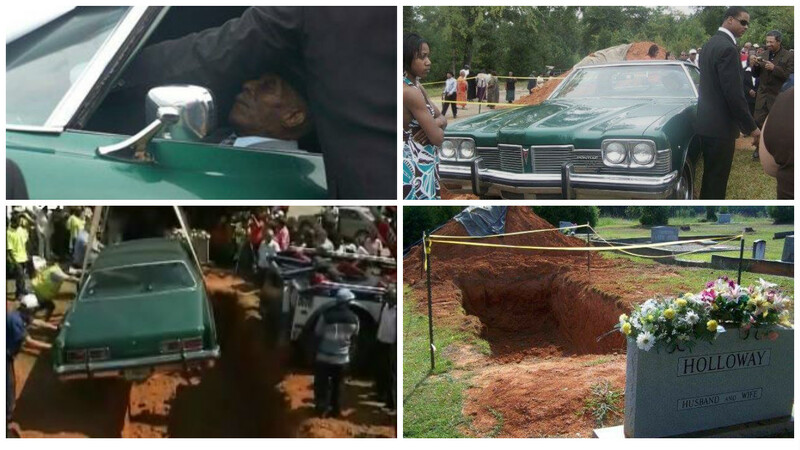 His burial spot was next to his wife’s.